Established in 2013, TAUREAN PAC has emerged as preeminent firm in manufacturing a substantial range of Blister Packing Machine. 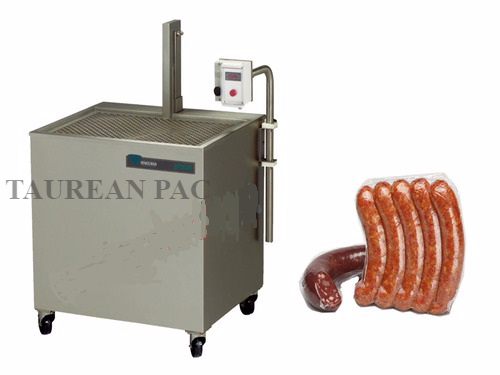 We provide best quality Blister Packing Machine, Shrink Wrapping Machine and Vacuum Packing Machine. Our offered products have gained much acceptance in the market for their resilient design, excellent finishing, dimensional accuracy and long functional life. We continue to bring the latest state-of-art technological improvement through the regular analysis of critical aspects of the manufacturing process with the approach of quality improvement. Furthermore, our competitive price policy has provided us huge client base to serve. With perfect affinity of our expertise with modern infrastructure system, we are able to fabricate wide gamut of products for fulfilling divergent demands of the market. Our offered products have profound uses in cosmetics, plastic packaging, pharmaceuticals and automobile. We incorporate a team of assiduous professional for manufacturing of products with their effective managing skills. We have adopted total quality management and set-up proper quality mechanisms to check all our products. Moreover, we market our products through the wide distributing network with utmost packaging quality under the definite assurance of in time deliverance.